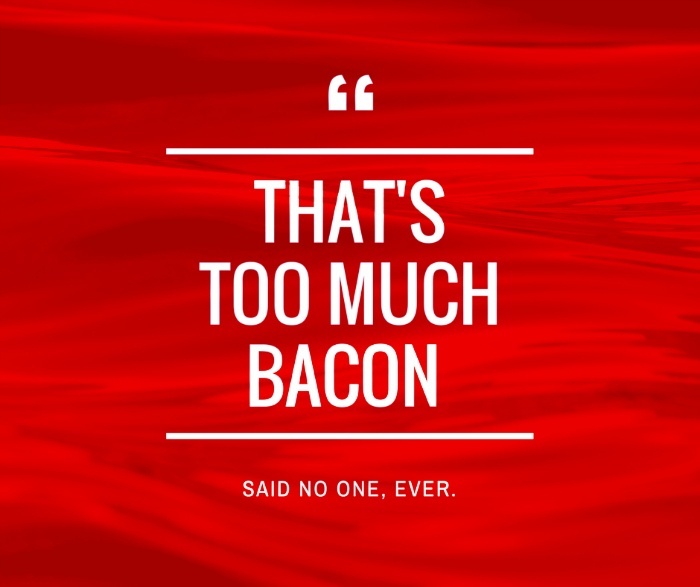 Because, bacon, you guys. Bacon. 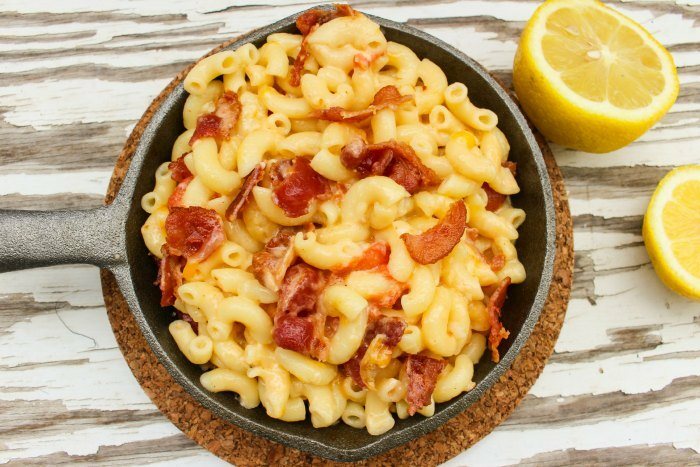 Coupled with delicious, creamy mac and cheese, this bacon loaded dish can be whipped up in no time at all (recipe below). Are you all about bacon, too? 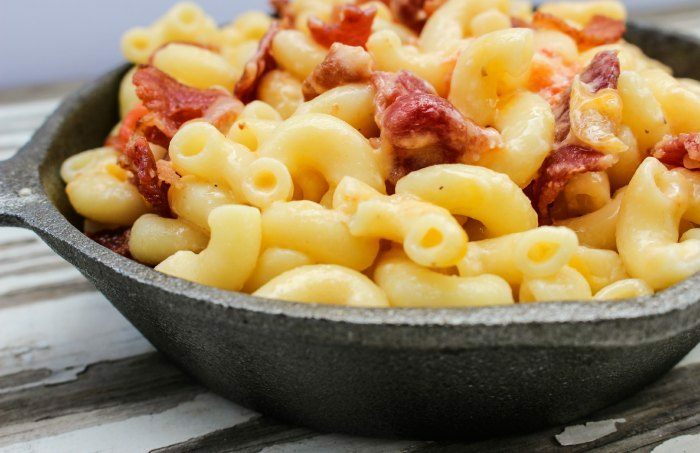 Check out this amazing bacon cheddar ranch dip, and these best of bacon recipes. Cook elbow pasta according to package directions. Drain and set aside. 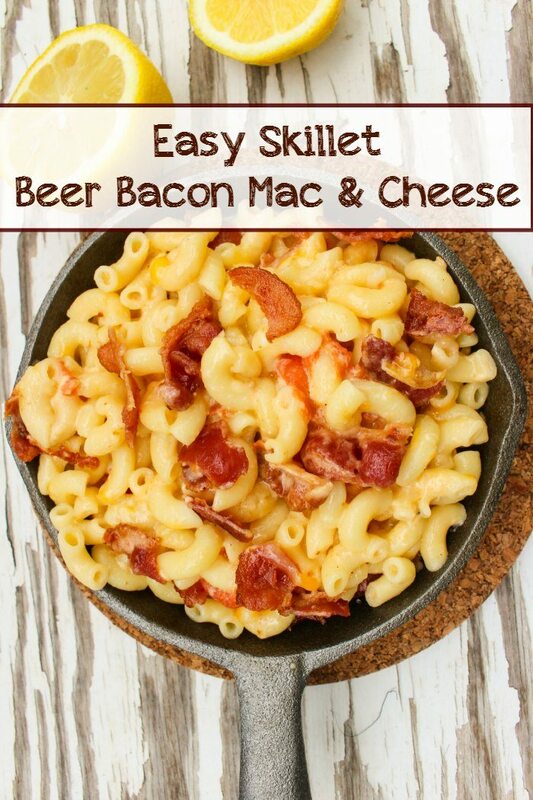 Heat a skillet over medium heat, add half and half cream and beer, and whisk together. Whisk in 2 cups cheese and cook on medium low heat for five minutes to thicken. 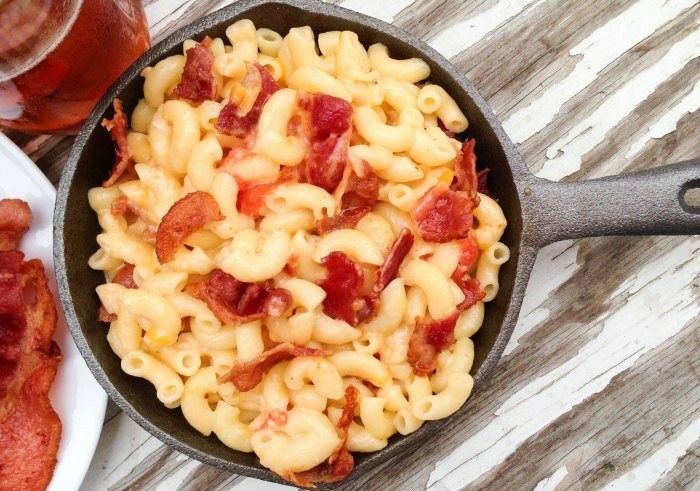 Stir in pasta, bacon, and tomatoes. Cook for five minutes, or until bubbly and heated throughout. Stir in hot peppers and lemon juice, and season with salt and pepper to taste. Tip: If you have vegetarians in the crowd, you can substitute vegetarian bacon.